The guitar is by no means for shy and easily-intimidated players. The sheer size of this jumbo guitar is for the fearless and fierce. It’s pieced together maple back and sides and a spruce top. It’s wrapped up with a slick and striking finish that’s sure to please its wielders and subjects. To help make the jumbo size playable, it features a cutaway for easy access to all frets of the neck. Speaking of the neck, a quick look at the fretboard features crown inlays that are just fantastic and insanely perfect for this guitar. The whole feel of the aesthetics is completed with the mustache bridge, Grover tuners, and gold screws. When it comes to electronics, the EJ 200 is worthy of the best. It has the eSonic pickup system, Shadow’s NanoFlex and NanoMag, and a built-in tuner. If you want to blend the pickups or split ’em, you have the option. The sound is dominant and forceful but organic. The tone woods ensure that you have more than enough balance whether you’re playing unplugged or plugged-in! The Epiphone EJ-200SCE Guitar is a cherished prize. While it may not be “the” Gibson King of the Flat-tops, it’s still an excellent guitar that’ll fool your crowd with the authentic tones of an acoustic. While it has been loaded with awesome flexibility when it comes to electronics, it’s not unknown to experience fret buzz. A professional setup can eliminate this problem. The battery issues seem to be related to batteries dying faster than they should. Contacting your vendor may help with these warranty issues. However, there’s no denying by anyone in the crowd that this bad boy has heft and projection. For performances, it’s not going to let you down, and it’s going to cut through the noise to get attention. That’s everything you need when you’ve tamed the EJ 2OO under your strap! The Fender Tim Armstrong Hellcat is another custom guitar that has a legend behind its name. It’s under 500 bucks, and it looks hellish on stage! It’s vintage, sleek, and chic without the shabby. If you’re looking for a guitar that’ll last with you through your learning stages as a rookie to a pro guitarist with your own beat, this is it for you. Keep your claws sharp for the latest on what we have to say about Hellcat – meow! If you’re looking for more savings on a guitar, you might want to check out the twin duos, the Epiphone Dove and Hummingbird Pro guitars. They’re quite a bit under $500, so you might end up saving more than you plan on. Unlike the EJ 200 that has the eSonic2 system, the Dove has Fishman Sonitone Preamp and Fishman Sonicore Pickup, while the Hummingbird has the Shadow ePerformer preamp system. Not bad if you want options to dabble with the electronics. Again, we’ve already got the scoop on these chic instruments if you want to know everything there is to know. If you are still not sold on any of these guitars, you might want to move up or down in budget. Check out the best acoustic-electric guitars in a variety of price ranges right here. Does this Guitar need a Professional Setup out of the Box? This really depends on personal preferences. While Epiphone does their best to tailor to these custom elements, there are some buyers that will prefer a little tweaking. Give it a go out of the box and see what you like and don’t like and have that done. Why does this Guitar Need a Battery if it's Connected to an Amp? The battery is to power the built-in tuner plugged in or unplugged. It takes two 2032 lithium watch batteries that are included in the purchase. What are the EJ-220 Guitar Models? Potential buyers on certain retail sites might get confused with the EJ 200 and EJ 220 model numbers. This might the error of the site with an accidental typo. There is no existing model number from Epiphone with the EJ 220 designation. What are the Finishes of the EJ 200 Guitar? It comes in Vintage Sunburst, Black, and Natural finishes. What Gig Bag would Fit the Epiphone EJ Guitar? The Epiphone Jumbo Hardshell case is an excellent gig bag with a plush interior and accessories compartment. This is will the EJ 200SCE guitar with no problems. What's the Main Difference between the Pro Series and the EJ200SCE? The main difference is going to be size. The EJ is definitely a large guitar. It will also have more sound impact because of its size and tone woods. The EJ also has a built-in tuner and stereo/mono output connections. Is the Acoustic Electric Guitar a Solid Wood Guitar? It has a solid spruce top with laminate maple back and sides. What does SCE stand for? It means that this guitar is a Solid top, guitar with a Cutaway and Electrics. The E could also stand for Edition. 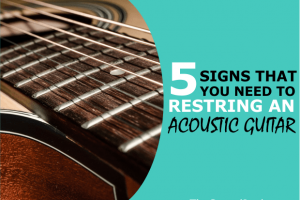 However, most acoustic guitars with the E signifies that it has electronic components in them identifying it as an acoustic electric guitar. As a guitar-only purchase, you’ll need everything else to get set up with amplification. You might already have a few equipment pieces, but just in case you don’t know where to start, we’ll help you out! To strum it up, the Epiphone EJ-200SCE is a king of its own. For dedicated Gibson fans out there, you’ll appreciate the tribute twin as a part of your winning collection. For the newbie, it doesn’t get better and boomier than this!